On October 23, 1925, the king of late night television was born in Corning, Iowa. 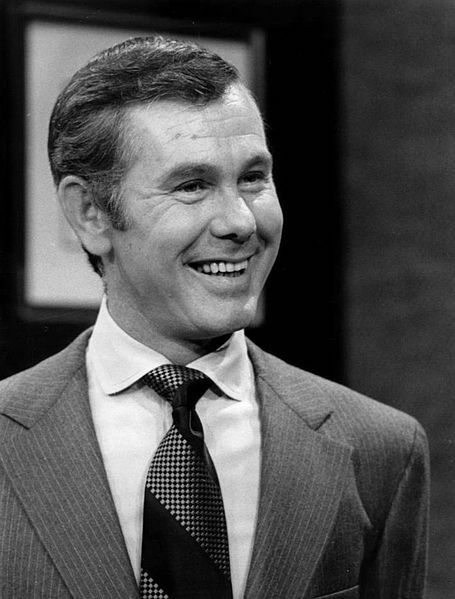 A few weeks before his 37th birthday, Johnny Carson began hosting The Tonight Show. Thirty years and 1,859 shows later, Carson retired, the uncontested best late night hose. TV Talk Show Host Day is held in recognition all TV talk show hosts, not just Carson. All the Athenians and the foreigners who lived there spent their time doing nothing but talking about and listening to the latest ideas. P.S. October 23 (10/23) is also Mole Day (10^23)! This entry was posted in Uncategorized and tagged October 2013, TV Talk Show Host Day. Bookmark the permalink.